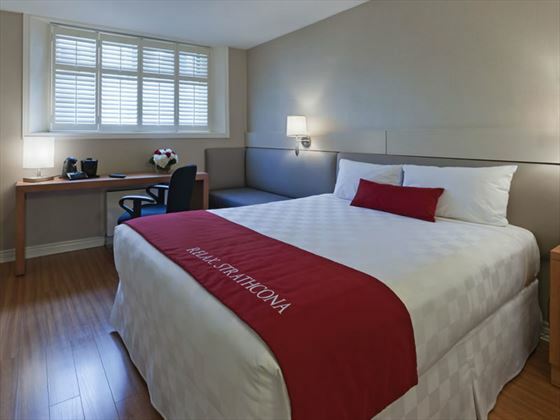 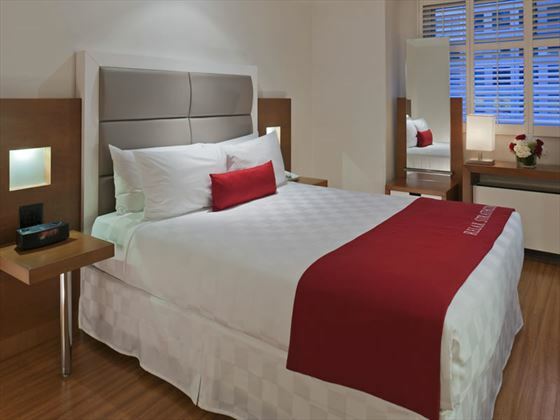 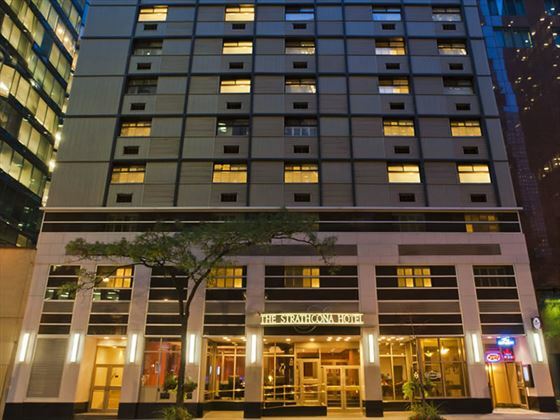 The hotel is located in the heart of Downtown Toronto’s Entertainment, Financial and Sports Districts, just steps from the city’s must-see attractions. 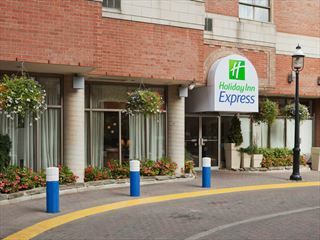 The hotel is right across the street from Union Station, Via Rail and the Royal York Hotel. 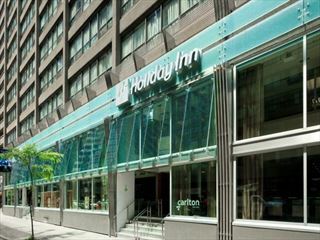 Within 2 blocks are the ACC, Rogers Centre, MTCC, CN Tower and more. 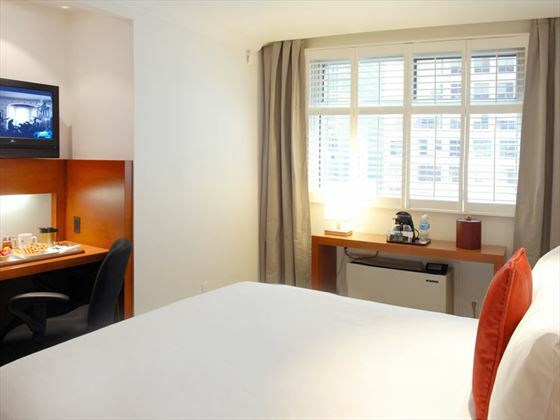 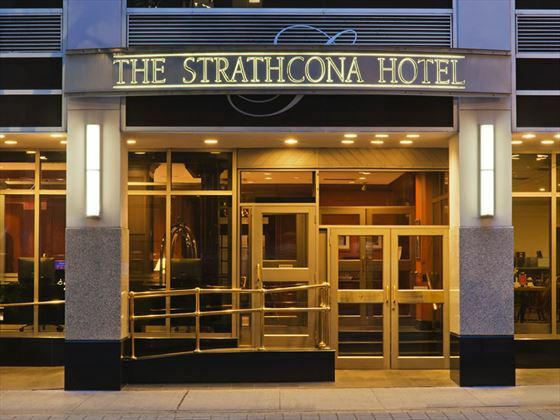 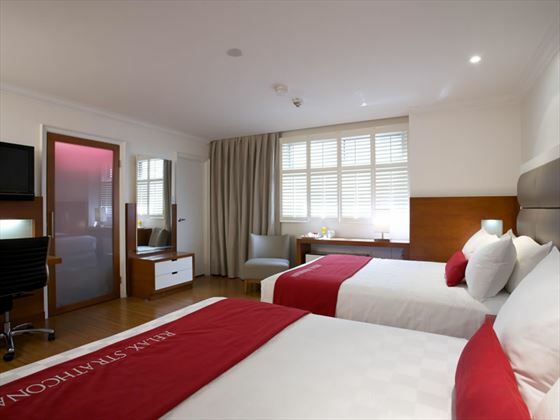 The Strathcona offers exceptional value with all the comforts you would expect from a metropolitan hotel, in a perfect location to explore the city’s famous sights. 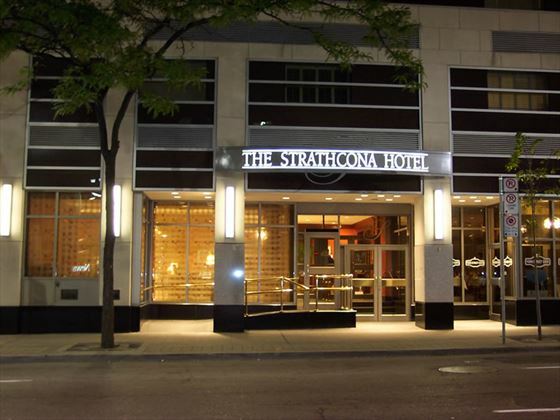 The Strathcona offer the latest in comfort and style, the 194 guest rooms feature a trendy look, complete with contemporary amenities and wired for the modern world with Posturepedic Mattresses, rain showers and environmentally friendly bath products. 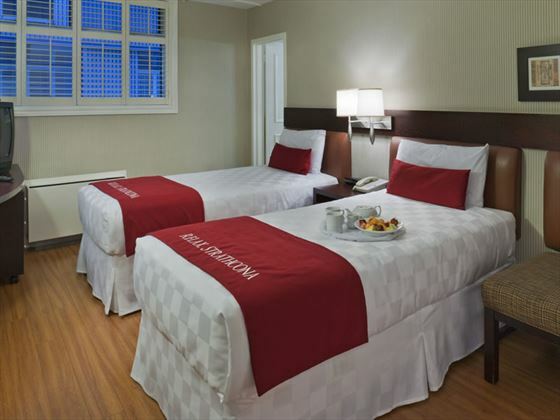 From laundry services to the Goodlife Fitness centre, enjoy the convenience and luxury of the extensive amenities and facilities, friendly dedicated staff and tour desk to give you inspiration or assist in booking a plethora of exciting activities. 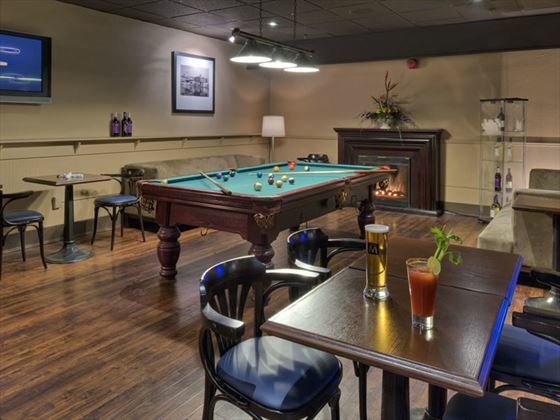 Located in the lobby, York St. Café serves tantalising breakfasts and lunches whilst Strath Pub offers traditional fare and an extensive list of local and international beers, wines and speciality drinks. 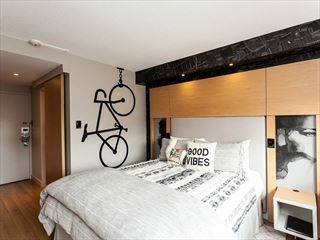 Set in the heart of downtown Toronto’s Entertainment, Financial and Sports Districts, a short walk from Union Station and close to some of the city's most popular attractions: the Rogers Centre, CN Tower, Art Gallery of Ontario, Chinatown and Ontario Science Centre. 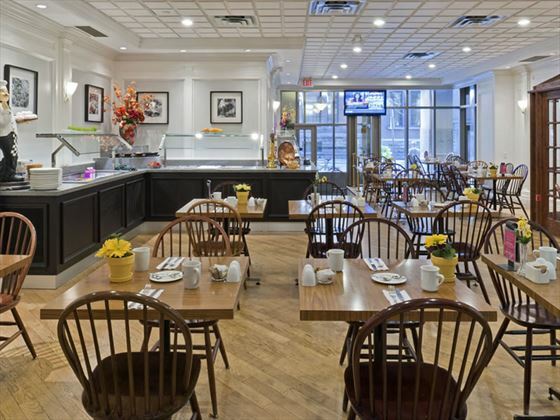 York St. Café - Conveniently located in the lobby. 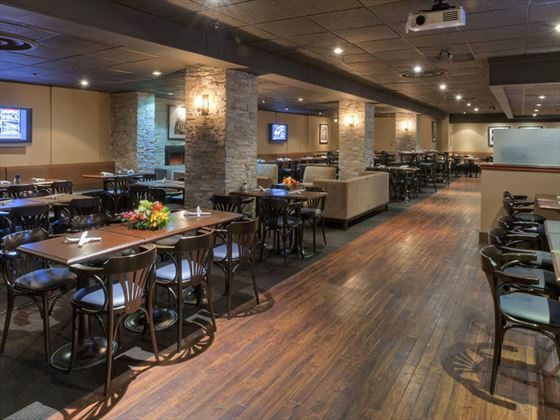 The breakfast and lunch menus, with tantalizing specials, are offered in a relaxed atmosphere with friendly and professional service. 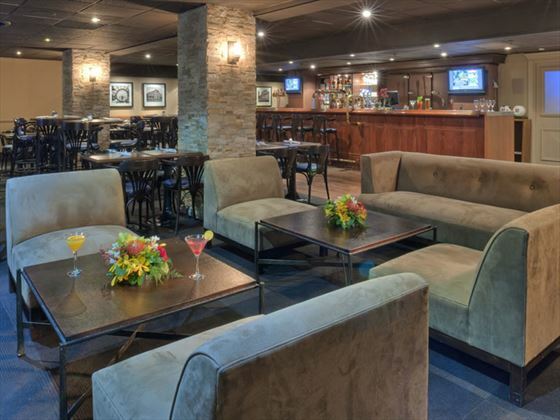 Strath Pub - Located on the lower level of the hotel, offering traditional pub fare, with fantastic specials, local and international beers, wines and cocktails.